When I first started decorating our house, I was always trying to find the most thrifty, time effective and cost effective methods of redecorating. Some things worked like furniture and decor, but the things I'm regretting not spending more time and money on are the walls, doors and trim. Now I look back and see that a lot of my projects were poorly researched, rushed, and poorly executed with cheap or inappropriate materials. As an amateur DIY decorator, I thought what I was doing looked wonderful. But now I can see that some of the projects have not stood the test of time or just look plain dreadful on closer inspection. 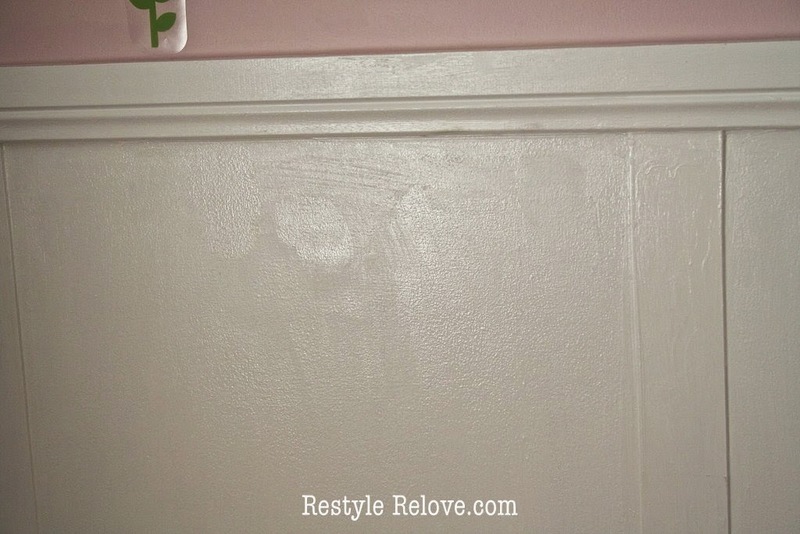 We all know a fresh coat of paint can work magic, and seeing that magic can be addictive. You want to paint everything in sight, and fast. So that was my first mistake. I didn't do the proper prep work. Often I didn't sand and sometimes I didn't prime either. 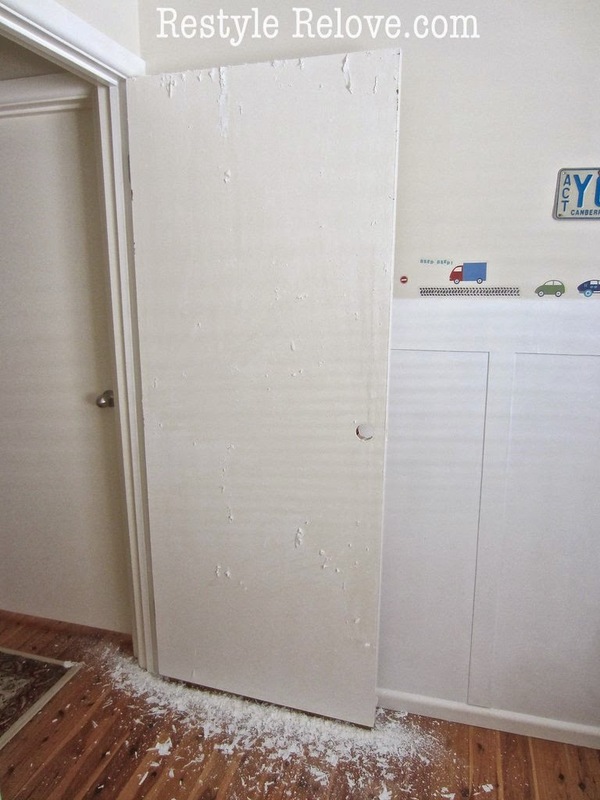 And it wasn't very smart when I painted straight over gloss paintwork with practically zero adhesion on doors and trim. Result - A big flaky disaster. I had started scraping when I took this photo. But you get the idea. - I used cheap paint. I didn't do enough coats. The ones I did were uneven and patchy as I was stretching my cheap sample pots. 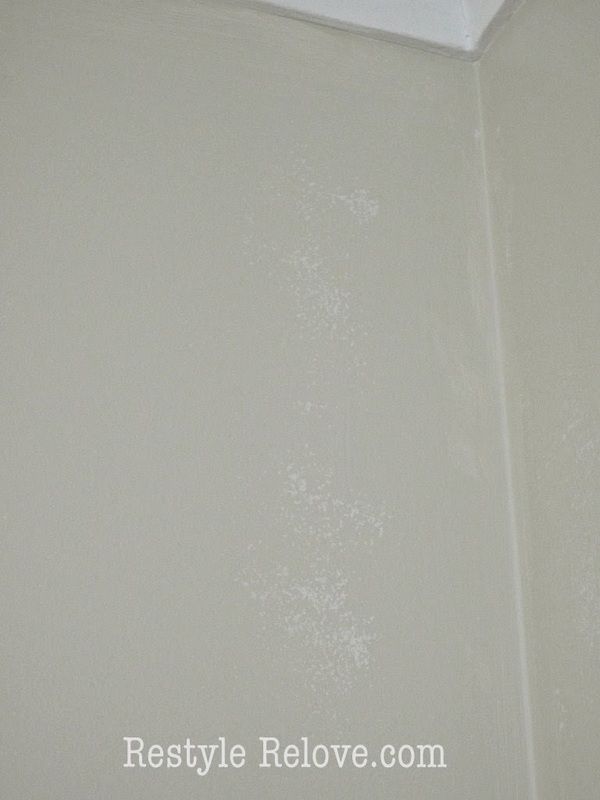 Patchy poor quality finish walls. - I kept impulsively changing my wall colours. I'd paint one colour, then the next week it would be another. Consequently, my finishes became lazy. My cutting looks like waves on an ocean. 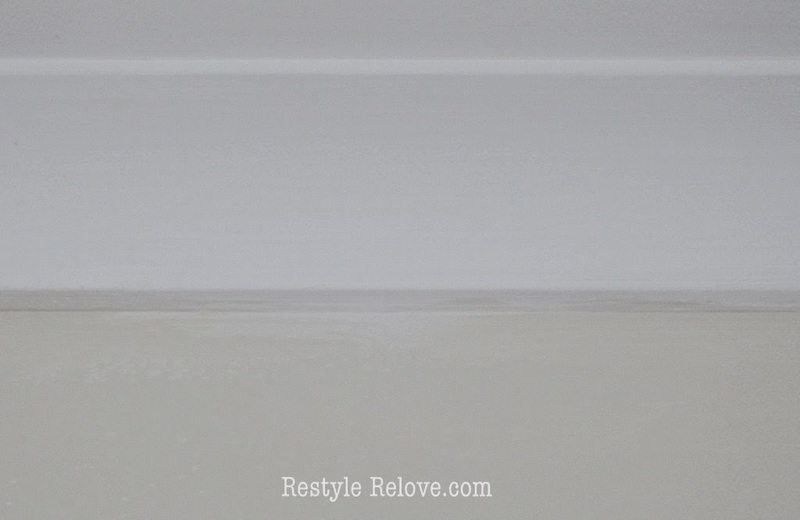 - I didn't know what type of finishes I should be using so I guessed and used a lot of different gloss, semi gloss, and matt in various shades of white so nothing really matched. Result - Rushed, poor quality, mismatched finishes. - My board and batten walls were rushed. My MDF was roughly cut, not properly sanded, not properly caulked, painted with the wrong finishes, and covered in ugly brush marks. Result - Cheap looking messy walls. Disastrous Board and Batten Walls. So this is where I am currently at. I have opened my eyes and seen my shabby work, and I'm really regretting it. Maybe it is a little bit of learn from my mistakes and learn from other's successes, which has lead me to want to fix a lot of things in our house. 1. Flaking Doors and Wood Trims. 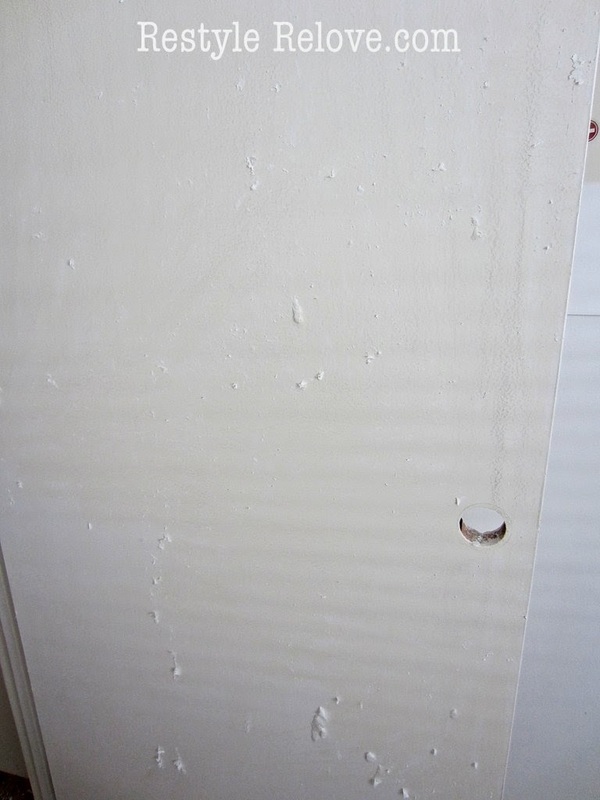 This week I tackled the worse flaking in the house which were the kids bedroom doors and doorway trims. They were flaking. Alot. I had tried to ignore the problem and brush off any noticeable flakes, but they just kept flaking. So I decided it was time to do my research and fix the flaking. Or should I say snowing. That is exactly what the floor (and me) looked like after I used a scrapper on the doors and their door trims. The paint easily lifted off, as expected. It wasn't too time consuming (although I could think of a million other things I would rather have been doing), it was just super messy. I had to keep stopping and using the dust pan to collect my snow, and then vacuuming about 20 times to get all the little bits. Next, I decided to use 2 top coats of British Paints H20 Enamel Semi Gloss in white. I haven't used this paint before, but it promised to do what I needed and it was cheaper than the usual Dulux that I run to every time. And to be honest, I haven't seen anything really special about Dulux paints anyway. 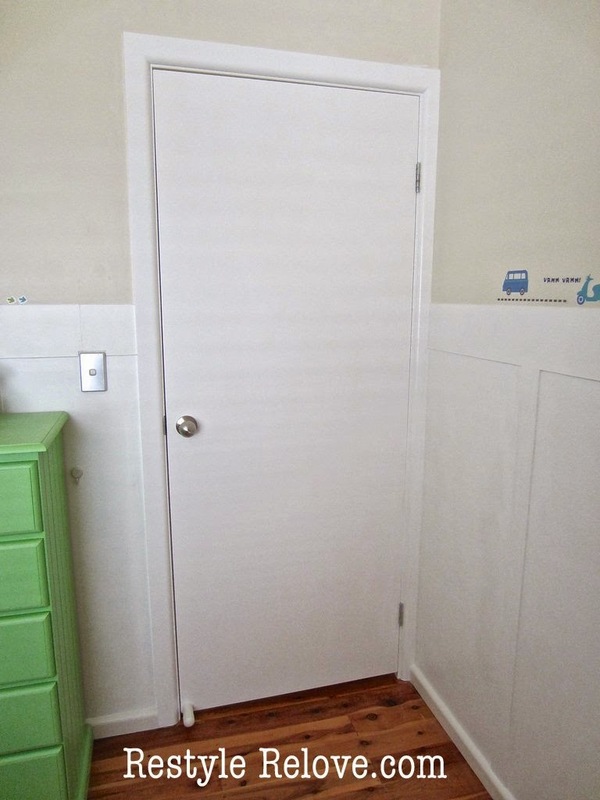 The finished doors and doorways are a crisp smooth bright white that hopefully won't be peeling off any time soon. Fingers crossed. Door and trim painted the correct way. Next on the list, I'd like to repaint the walls as well. They are currently a mishmash of Hogs Bristle Half and Hogs Bristle Quarter on a Mid Base using sample pots of paint mostly. Again, I thought this would be a cheap option, but really it has produced poor quality finishes throughout the house. I'd really like to go with a warmer shade like Raw Cotton Quarter which is similar to Hogs Bristle, but creamier and warmer. White has also crossed my mind, but we previously had Antique White throughout the entire house and I found it looked cold and dirty. So white might be a bit daunting to do again. I know this time I'll be giving it a lot more consideration instead of charging ahead and regretting it. Raw Cotton vs Hogs Bristle. 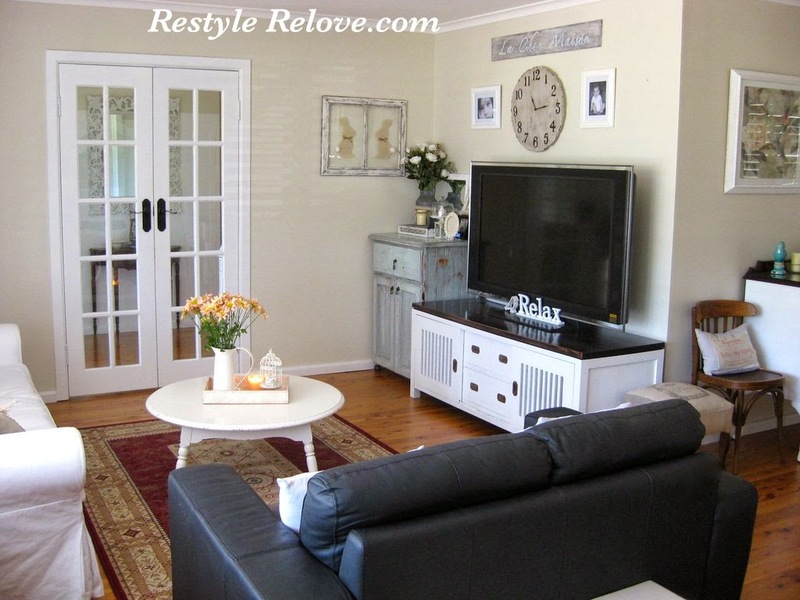 I want to fix all the board and batten feature walls so they are uniform throughout the house in colour and texture. I'm going to research the best way to do this, but I can imagine there will be a lot of sanding and caulking and priming and repainting. Any help with the type of paint would be much appreciated. Would satin be an option? I don't want the walls to be as shiny as the gloss has made them. What great tips you shared. 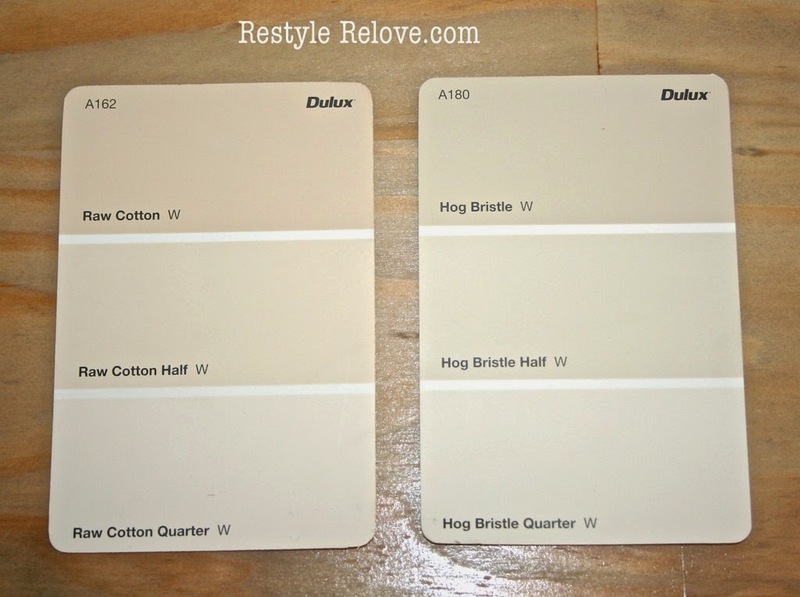 I have to laugh at some of the names of paint colors for you guys. Too cute. Thanks for the great tips. You did an awesome job, and you have inspired me to do this as well. Thanks also for the name of the white paint you used!